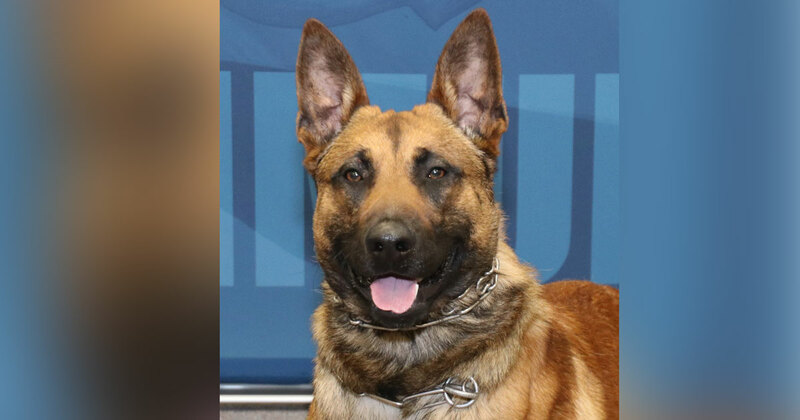 Green Bay, WI (OnFocus) K9 Officer Pyro has survived multiple stab wounds after responding to a weapons call in Green Bay on Sunday. Pyro’s injuries included a twisted stomach and a blood clot which were resolved with multiple surgeries. The K9 faces a long road to recovery due to the severity of the wounds. The 2.5 year-old K9 had been with the police department for about a year. Fundraising efforts are being undertaken through the Bark N Blue Foundation to pay for Pyro’s treatment. Donate here. Felony charges are being brought against the suspect, who was threatening to shoot his father and officers who responded. When the suspect, Sai Vang, would not submit to demands, Pyro responded as trained by biting the suspect, who then stabbed the dog multiple times in the neck before being tased by officers and brought into custody. Despite being wounded, the K9 continued his job. Officers were able to get close enough to use the taser because the suspect was distracted. Pyro’s wounds were noticed and the K9 was then transported to a local animal hospital. Smith credited Pyro’s actions for preventing an officer-involved shooting and saving the life of the suspect. Green Bay (OnFocus) Just after 8 pm Sunday evening, Green Bay Police responded to a weapons call at a residence in the 1300 block of Western Ave in Green Bay. During the apprehension, the subject stabbed K9 Officer Pyro in the neck. Pyro was transported by bearcat to the animal hospital. Pyro is one of seven K9 officers on the force at the Green Bay Police Department. Pyro is a Belgian Malinois and is trained in narcotics and tracking. At this time the condition is unknown. The story will be updated as more information becomes available.